Working together to turn wishes into real-life, unforgettable experiences. 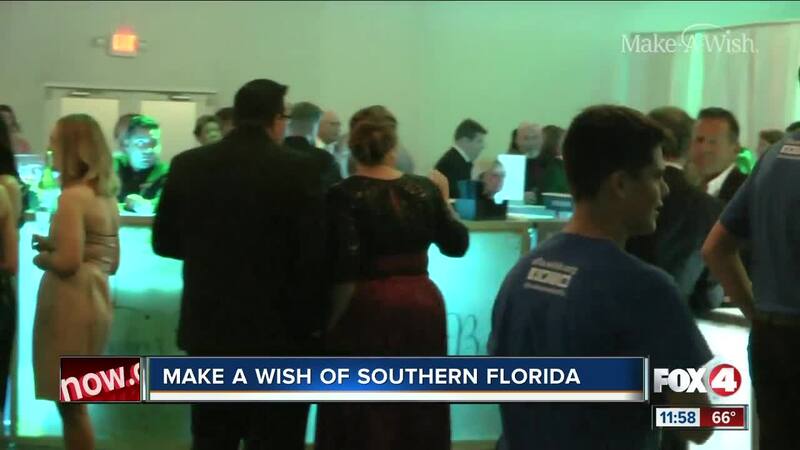 NAPLES, Fla. — Make-A-Wish Southern Florida hosted its 2019 “Wishmaker’s Ball” fundraiser in Naples on Saturday. They granted 12,000 life-changing wishes to critically ill children. Those wishes can be getting to go somewhere, meet someone (like a celebrity) or be something. At the ball, they raised nearly $200,000 that will help make dreams come true for 28 Southwest Florida children and families. Three children who had their wishes granted with proceeds from this event in 2018 attended the ball. Cole met NFL star Aaron Rodgers, Keira met the creator/animators of SpongeBob SquarePants and Alex went behind the scenes at an NFL broadcast. They spoke about how those experiences impacted their lives.